The Olympics came to a close last night in London with the expected amount of British pride and athlete&apos;s well-deserved celebration. Along with athletes and fans, brands can celebrate too, after striving to make a significant impact on the world&apos;s greatest stage for two weeks of competition through every media channel available. 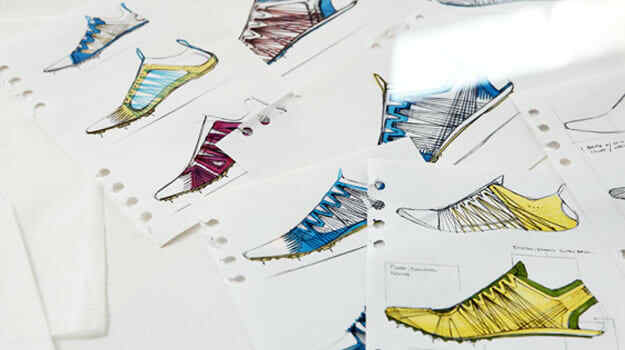 Despite not being the official Olympic sponsor Nike did their part in the Games, releasing some powerful #FindYourGreatness ads, outfitting Team USA Women&apos;s Soccer with victory tees, and most importantly, supplying those hard-to-miss Volt Collection kicks for track & field. "Of all the colors of the rainbow (red, orange, yellow, green, blue, indigo, violet, and all the hues in between), the human eye / visual system is most sensitive to the yellow/green zone - hence the reason for the colorway of fluorescent School Zone signs, as well as the police vehicles in the UK." With over 400 athletes, including track sensations Allyson Felix and Trey Hardee, sporting identical kicks, the Collection was well represented in Olympic Stadium. Nearly half of all Track & Field athletes who earned a medal in London rocked one of the sixteen shoes available in the Volt Collection, proving that this collection strikes more than just just the eye.